August 23rd sees the release of the new RedOne/Alexandra Burke collaboration, "Start Without You," which leaked this past Spring. Rumored to be the first single off of the re-release of Burke's debut album Overcome, the song is a bit of a departure from her previous singles, in that it features a distinctive reggage/dancehall feel (featuring Jamaican rapper Laza Morgan) instead of a more R&B-tinged pop sound. It took me a few listens but I think I'm sold now. The track DEFINITELY has a summer feel to it and with upcoming remixes expected from Swedish mega producer/remixer/DJ StoneBridge it's likely going to hit summer anthem status. The video, which is expected to premiere in the next few weeks, was shot in Los Angeles and features both Burke and Morgan. Burke literally stopped traffic, with the aide of 6 LAPD officers with the filming of this video. Can't wait to see the end result! With her past chart performance history, I'm sure this new single will continue her winning streak. Listen to the song here. Do you think it has hit potential? 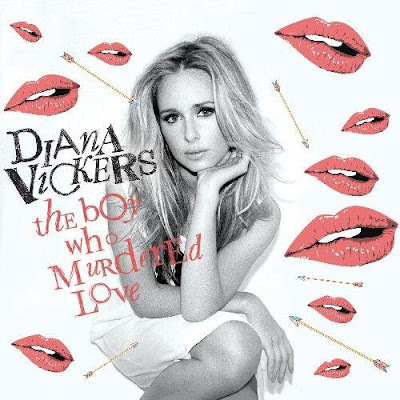 Since the upcoming release of Diana Vickers' second single off her #1 album Songs From The Tainted Cherry Tree, "The Boy Who Murdered Love" (July 19th) was announced, I've been anxiously awaiting word on remixes. Seeing that Vickers' debut single, "Once" was deliciously remixed by Manhattan Clique I was expecting something equally as delicious. Lucky for me, French DJ/Remixer/Producer Guéna LG appears to have put his electro-dipped fingers all over this already flawless pop song. While the remix has yet to surface, I can only imagine how fabulous it will be. The song was co-written by Vickers and Chris Braide and features a super cute video which you HAVE to check out if you haven't already. Persistence really pays off. MySpace is a great resource for music news, depending on how often the bands update their blogs. Offering the ability to sign up for updates is a great feature UNLESS a band updates 5-10 times a day. 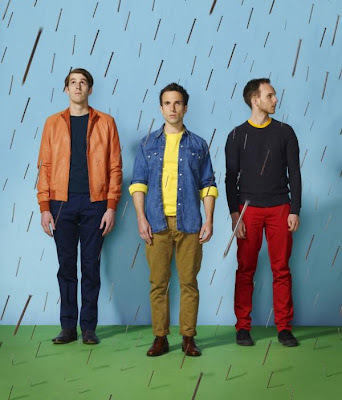 THIS was the case with the English/Swedish rock outfit The Hoosiers. After being bombarded with email notifications about new blog posts, I was on the verge of canceling my subscription when I decided to see what all the fuss was about. It was THEN that I discovered the fantastic video for the band's new single "Choices," due out August 2nd. Good thing I did. 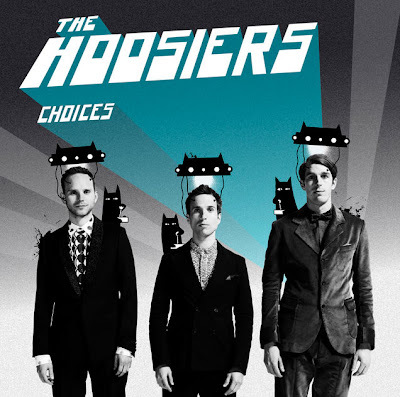 "Choices" is the first single off of the band's sophomore album, The Illusion of Safety, due out August 16th in the UK on RCA Records. The boys' last album, 2007's The Trick To Life went #1 on the UK album charts and spawned 2 Top 5 singles ("Worried About Ray," and "Goodbye Mr A") so their label is likely counting on the boys to avoid that dreaded sophomore slump that so often befalls new bands. Along with the new album comes a new sound. "Out are the skippy beats, perky melodies, lashings of falsetto and nods to the 70s soft rock...in come synths, dancefloor-friendly beats, a dash of Giorgio Moroder and triumphant, multi-tracked choruses that recall the pomp of the Pet Shop Boys' 'Go West.'" (via Euro Solution) "Choices" does have a fantastic 80s sound going for it that's all too popular right now. The super fun/super cheesy video was filmed in Thailand, modeled after those poorly dubbed kung-fu movies of the 70s and 80s. A perfect complement to a near perfect song. Oh and make sure you check out the remixes by French DJ/Remixer/Producer Guéna LG. Equally fabulous. You can download a free edit of the remix HERE. 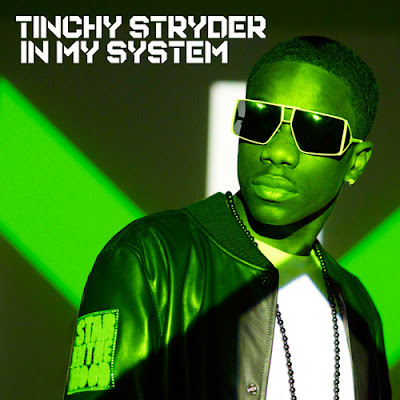 "In My System" is the first single to be taken off of UK Hip/Hop/Pop/R&B artist Tinchy Stryder's third album, Third Strike. Stryder was last years biggest-selling male solo recording artist in the UK, releasing two #1 singles ("Number 1", "Never Leave You") both off of his second album, Catch 22, which managed to reach #2 on the UK Album chart. Quite a big year for the 24 year old! Produced by Fraser T Smith, "In My System" is "mad different" according to Stryder, featuring "bigger beats, heavier bass-lines but with his signature rhyming style. "In My System" will be released in the UK August 9th on Island Records and features remixes by Ian Carey and True Tiger. Check out the video! Featuring Jodie Connor (from Pop Idol Series 2 and a string of other collaborations) this is a hot song. Again - apologies for the delay here. While I'm not BOWLED over by the song, it is great to have Fantasia back in her element belting out some powerhouse vocals all the while dripping in gorgeousness. Fantasia looks FABULOUS in the video for her new single, "Bittersweet," the new single off of her third album, Back To Me. Written by Claude Kelly and produced by Chuck Harmony, "Bittersweet" is a nice return to form for the the American Idol alum. The Lenny Bass-directed video premiered at the end of June on VEVO and features professional football player Devin Thomas as Fantasia's love. The single peaked at #106 on the Billboard Bubbling Under Hot 100 Singles chart and at #13 on the Billboard Hot R&B/Hip-Hop Songs chart. Back To Me will be released August 24th on J Records.